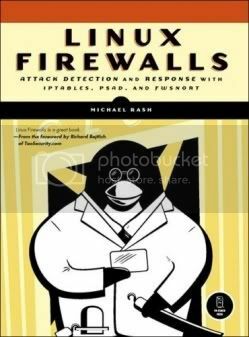 Linux Firewalls discusses the technical details of the iptables firewall and the Netfilter framework that are built into the Linux kernel, and it explains how they provide strong filtering, Network Address Translation (NAT), state tracking, and application layer inspection capabilities that rival many commercial tools. You'll learn how to deploy iptables as an IDS with psad and fwsnort and how to build a strong, passive authentication layer around iptables with fwknop. Perl and C code snippets offer practical examples that will help you to maximize your deployment of Linux firewalls. If you're responsible for keeping a network secure, you'll find Linux Firewalls invaluable in your attempt to understand attacks and use iptables-along with psad and fwsnort-to detect and even prevent compromises.